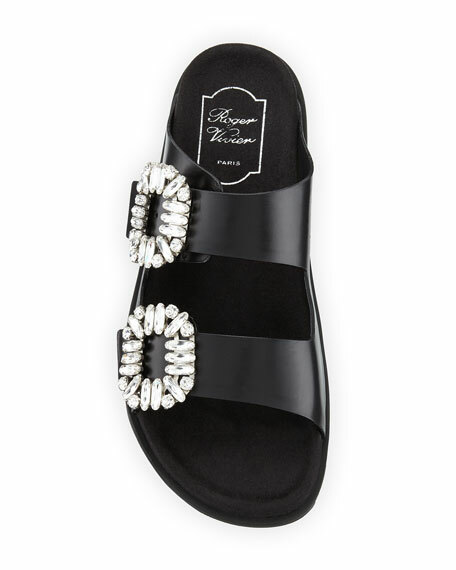 Roger Vivier leather slide sandal with crystal buckles. Adidas "Adilette" glittered leather comfort slide. Rubber strap with glittered signature three stripes. Contoured footbed. Leather lining. Imported. Sizing note: adidas shoes run large. We suggest that you order a full size smaller than you typically wear. 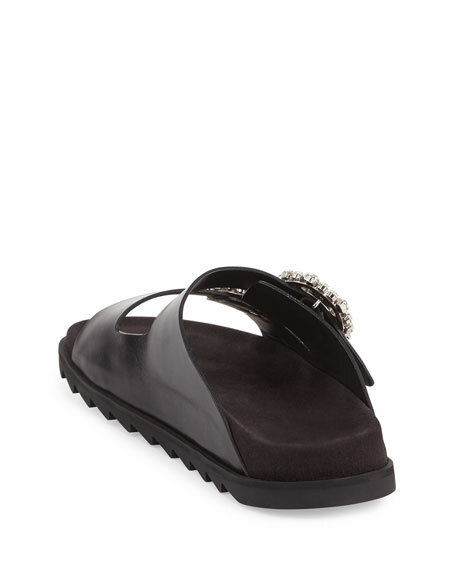 Bettye Muller Concept "Seema" suede sandal. Designed for full arch support with style. 1.5" wedge heel. Scalloped wide-band upper. Slide style. Padded footbed. Lightweight, flexible rubber sole. Imported. 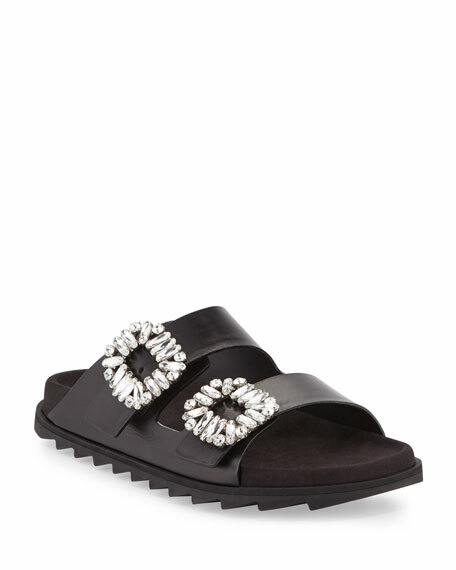 Donald J Pliner slide sandal with knotted fabric upper. 2" platform wedge heel. Open toe. Embossed logo detail at side. 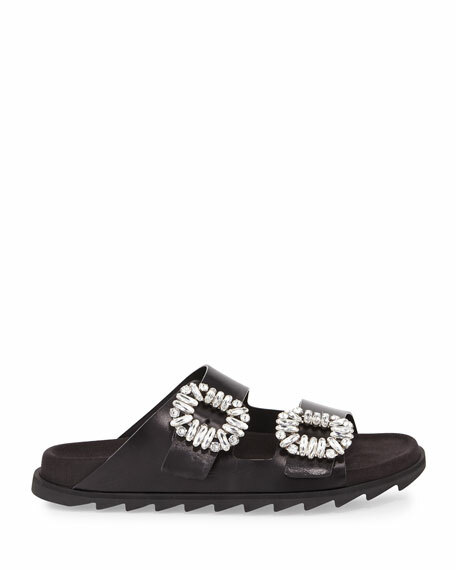 Donald J Pliner slide sandal with knotted fabric upper. 2" platform wedge heel. Open toe. Embossed logo detail at side. Molded footbed. Manmade outsole. Imported.